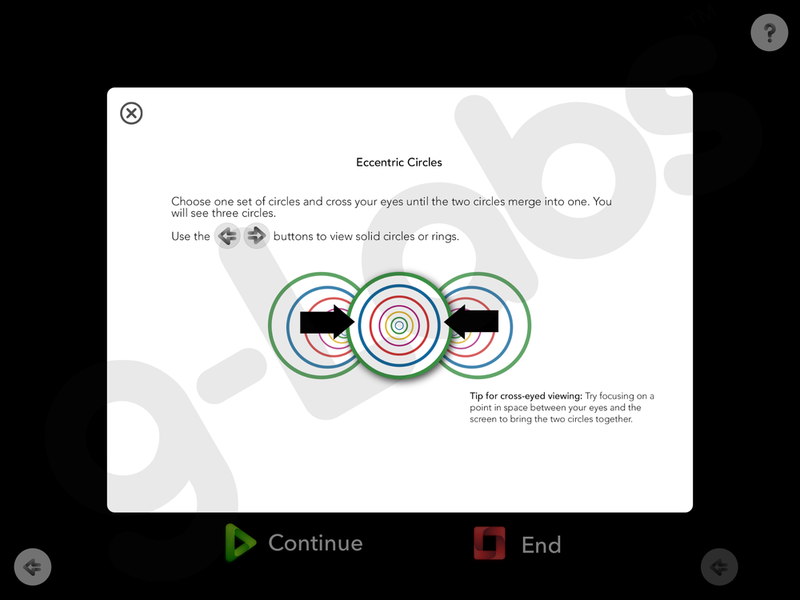 Eccentric Circles builds free-space fusion skills by practicing cross-viewing of an image‘‘‘. The patient receives feedback on fusion and focus by making the image appear 3D. Two images are presented in the exercise, one with coloured rings, and the other with solid circles. See screenshots below. How to Purchase: Available for FREE in Opto, the vision training app for iPad. Download Opto and find Eccentric Circles in the in-app library of exercises. Download Opto for iPad to access the Eccentric Circles.